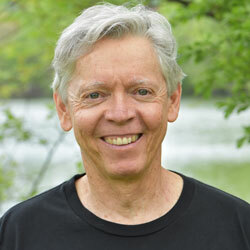 Michael Grady is a core teacher at the Insight Meditation Society and was a guiding teacher for more than 20 years at the Cambridge Insight Meditation Center, an urban dharma center that emphasizes contemplative practice in daily life. Michael began practicing Insight meditation in 1974 with Joseph Goldstein and Sharon Salzberg. More recently, he trained with the late Master Sheng Yen and was introduced to the practice of Silent Illumination in the Chan tradition.